Listen to Colorado Care Connections each Sunday at 10:00 am on KLZ-the Source (560 AM and 100.7 FM). On Colorado Care Connections, we talk about the issues of aging in our great state and meet the experts and businesses that serve the senior community. Colorado Care Connections is sponsored by the caring folks at ComForCare Home Care. Our two part series on MorningStar Senior Living continues with Marion Mauro of MorningStar - Dayton Place and Nicole Russell of MorningStar - Jordan. Presley and Gwenn learn about life at two of MorningStar's great communities in Denver. Kimberly Erickson, Chief Operating Officer, and Rachel Davenport, Resident Care Director, of Denver-based MorningStar Senior Living, speak with Eric and Presley abou the philosophy and corporate culture behind the communities of MorningStar. We are certain you will hear the love and care at the heart of this culture that has guided their successful development of nearly 20 communities in 11 western states. Dani Andrade, Executive Director, and Sarah Edler, Director of Rehabilitation of Life Care Center of Aurora, talk with Gwenn and Presley about the rehabilitation process. One great insight they want you to know is that families have control over the selection of service providers after a hospital stay, whether it is a skilled nursing company or the rehabilitation community. Learn why Life Care Centers should be considered the "go to" place. Life Care Center of Aurora is a premier short term stay rehabilitation center in the Aurora community. 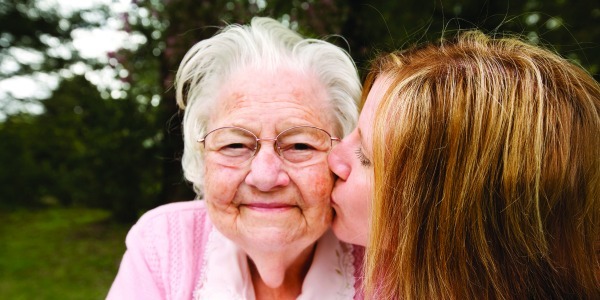 For more information on Life Care Centers, visit their website - Life Care Center of Aurora. Are you worried about the safety of your aging mom and data living home alone, but don't see them being comfortable in a large senior community?